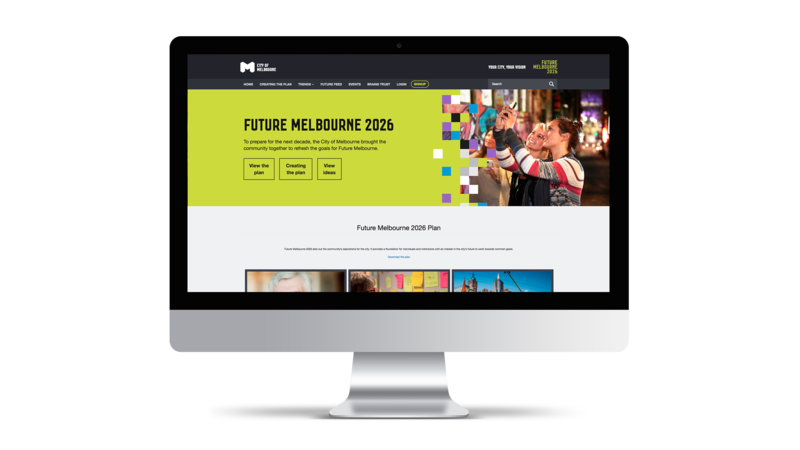 Launched in July 2013, Participate Melbourne represents some of the finest examples of digital community engagement to be found. 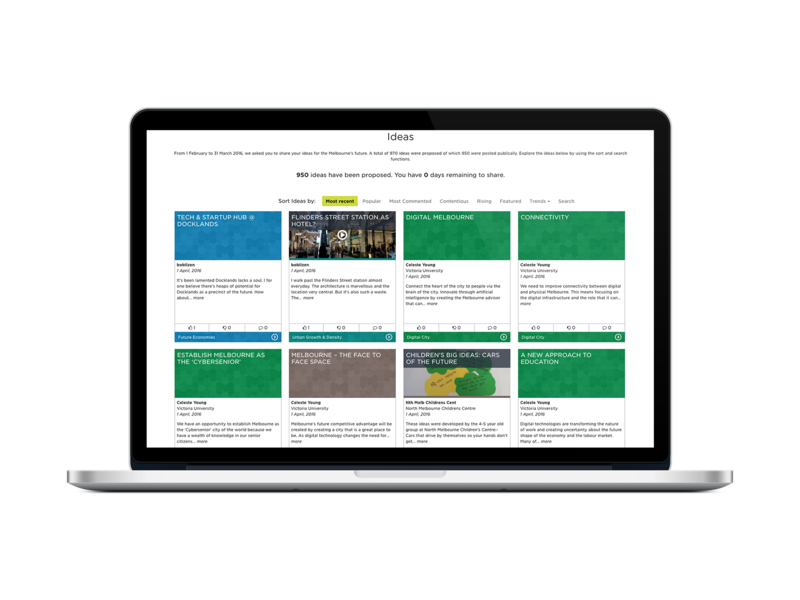 As longtime users of THE HiVE, Council has developed effective new ways to approach community engagement. The City often commissions Harvest to do custom work for significant projects, including Future Melbourne 2026 which sets out the community’s aspirations for the city. The aim is to provide a foundation for individuals and institutions with an interest in the city’s future to work towards common goals. In the first phase, the City invited individuals, groups and organisations to share their ideas for the future of Melbourne. Over two months, 2,000 people engaged in this phase through over 30 face-to-face events and 2,000 engaged in online conversations to produce 970 ideas for the future. 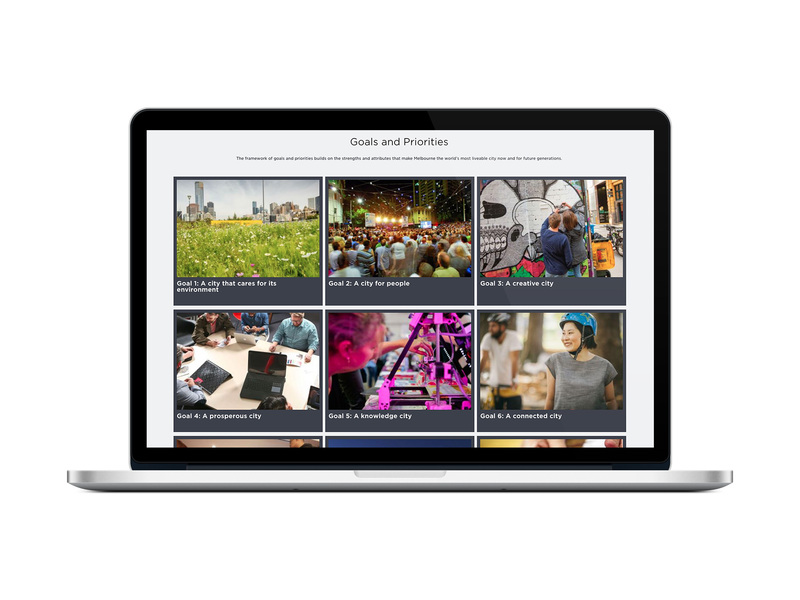 Harvest developed a site for the City that allowed people to share their ideas using online cards that were then presented back to the public. People could comment and vote and view the ideas in categories such as ‘Popular’ and ‘Most Commented’ and ‘Contentious’.